Display advertising has proven to be a useful tool for automotive dealerships when it comes to promoting themselves online. With the copious amount of options available it’s no wonder more and more dealers are spending more money on online advertising. According to eMarketer, the U.S. Auto industry is spending more on online advertising than ever before, and will continue to spend more and more each year. In fact, the automotive industry spends the second most money on online advertising, second only to the entertainment industry. The money spent on online display advertising by the automotive industry in the U.S. is set to reach $5.8 billion by 2015, according to eMarketer. 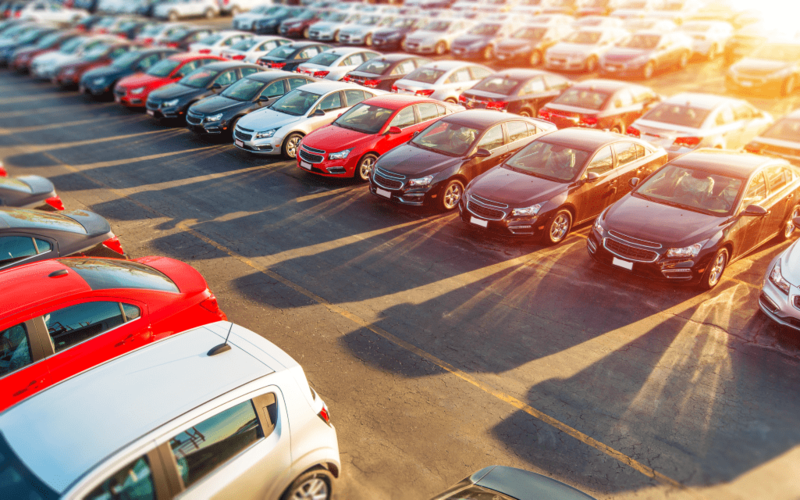 The amount of money spent by dealerships on online advertising and display advertising should come as no surprise as the ways consumer’s search for new vehicles has largely shifted online. According to Yahoo, online searching is the number one source used by consumers to search and locate dealers. That is why it is so important for dealerships to increase their presence online through display advertising. Without these ads, dealers could lose out on consumers researching dealerships online. The basic model of display advertising that requires buying ad placements on websites, or setting up ads to display on a pay-per-click basis on various websites through ad servers like Google is still very much the industry norm. The drawback of this type of display advertising is that it did not allow for dynamic ad serving and would most times show users ads that are out of context. But now there are new and more effective ways for dealers to reach consumers online. Retargeting technologies seem to be the major reason why so many dealers are investing in display advertising. Retargeting technologies are so effective because these types of display ads are shown to users who have engaged with a dealer via their website or a specific search query. These types of ads have been known to have a much higher rate of conversion. Retargeted ads also allow dealers to be much more dynamic with how they serve their ads. The retargeting capabilities can be a powerful tool for dealerships when you consider that users typically use a dealer’s website to conduct research on a particular dealership and the vehicle or vehicles they offer. For example, this type of display advertising would allow ads to be served to a user that engages with an Audi dealership and looks at a page with an A4 model. Through retargeted ads, the dealership can target A4 ads at that user later. Unfortunately, when dealers create their digital marketing strategies, display advertising is often overlooked for search engine advertising, because it is largely assumed that if a display ad is not clicked then it is ignored. This is a mistake. According to Pretarget, companies using display advertising will see a 155% increase in traffic and a 5% increase in conversions that can be attributed to customers seeing display ads followed by search ads. That is why it is so important for dealers to have a holistic approach to digital marketing. Without search advertising a user won’t see a dealer’s ad at the top of search results, causing them to lose potential leads. If a dealer solely uses search advertising then they could be missing out on valuable leads that are brought to the dealership through display ads. And if a dealer doesn’t utilize search engine optimization then their dealership will not show up in search results driven by users who search for their dealership after seeing a display ad. The important thing to remember is that display advertising is a powerful tool that can tie together with a dealership’s other digital marketing efforts. With display advertising methods that allow dealers to reach consumers in different ways across the internet, it comes as no surprise that more dealerships are spending money on display advertising. If your dealership isn’t utilizing display advertising you could be missing out on valuable leads. At Keyes Audi we specialize in new and used Audi cars, trucks, and sport-utility vehicles; we want to make sure you get the very best deal. We earned a reputation as one of the best Audi Los Angeles dealership and Los Angeles Audi dealership. We have a strong and committed sales staff with many years of experience satisfying our customers’ needs.